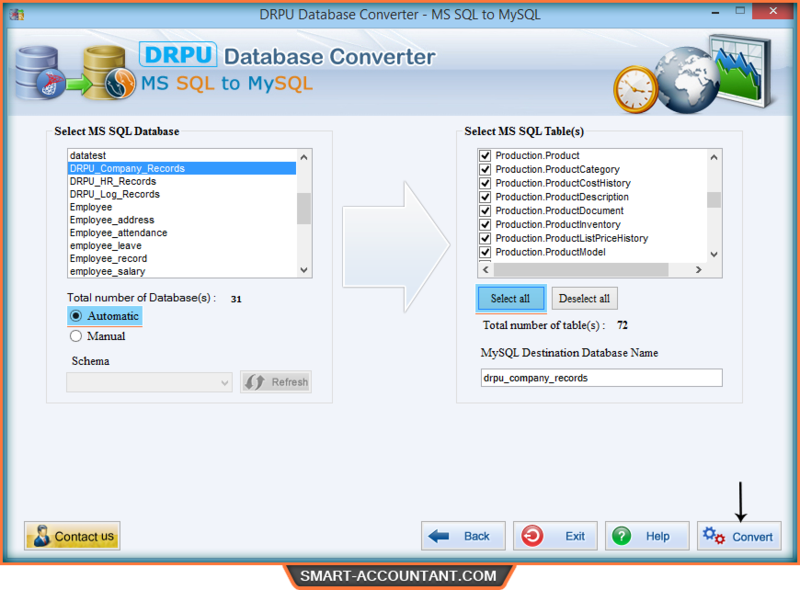 Connect your Microsoft SQL database to MySQL database and select table attributes as per need. Now, click on "Next" button to proceed. 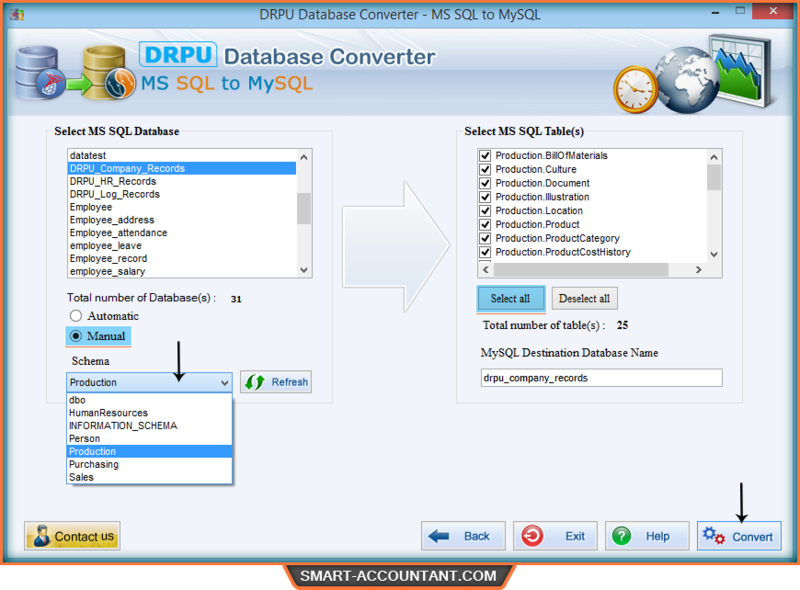 Choose database and schema from left panel and corresponding table from right panel. 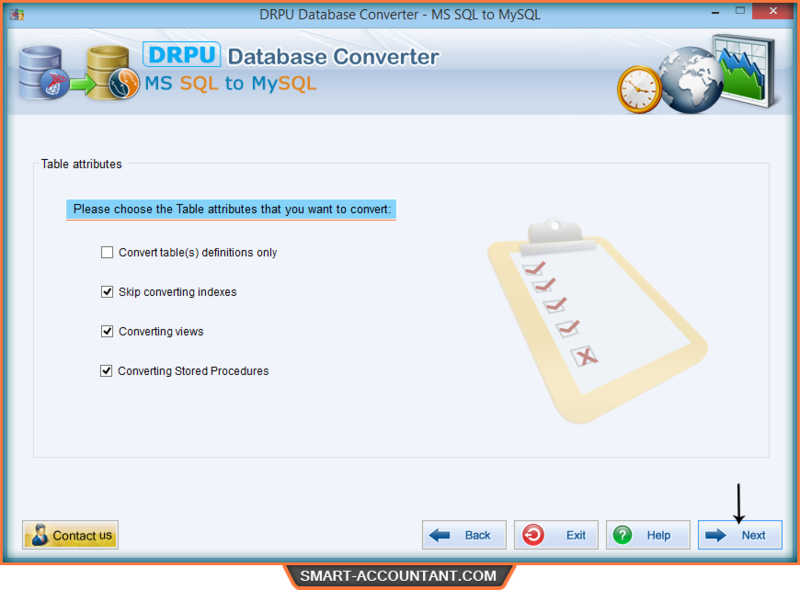 Set destination database name and click convert button. 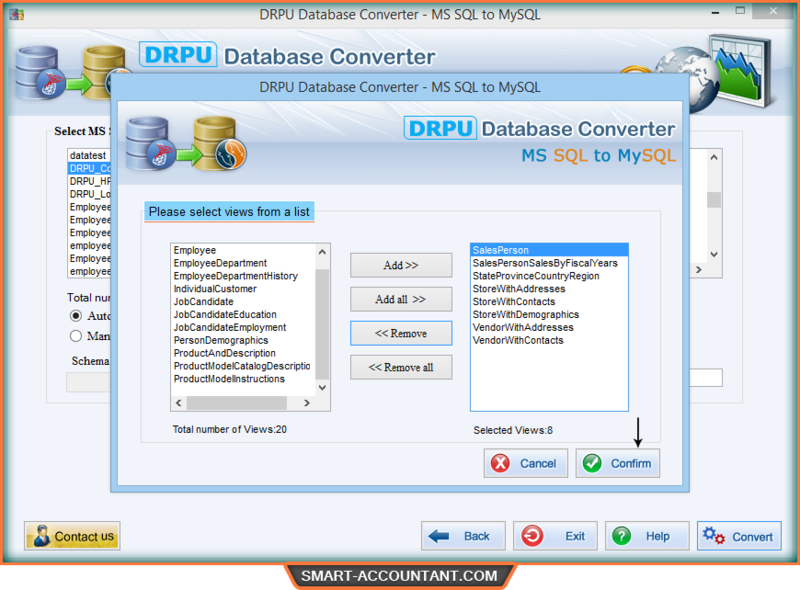 Software provides two ways to select your schema - Automatic as well as Manual. In case of automatic, all schemas are selected by default. On other hand in case of manual option, select your desired schema. Select Views from the left panel and add them to the right panel. Click "confirm" button to proceed. 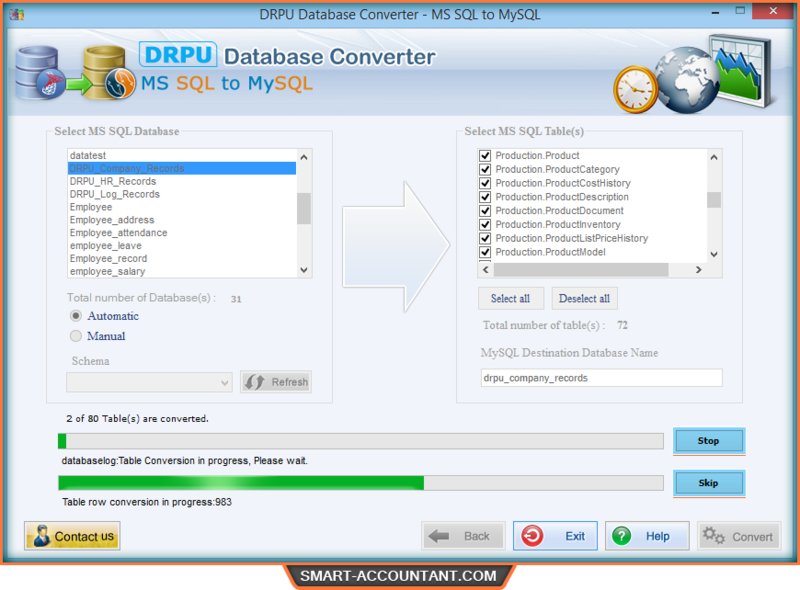 Wizard shows progress bar to view status of database conversion process. 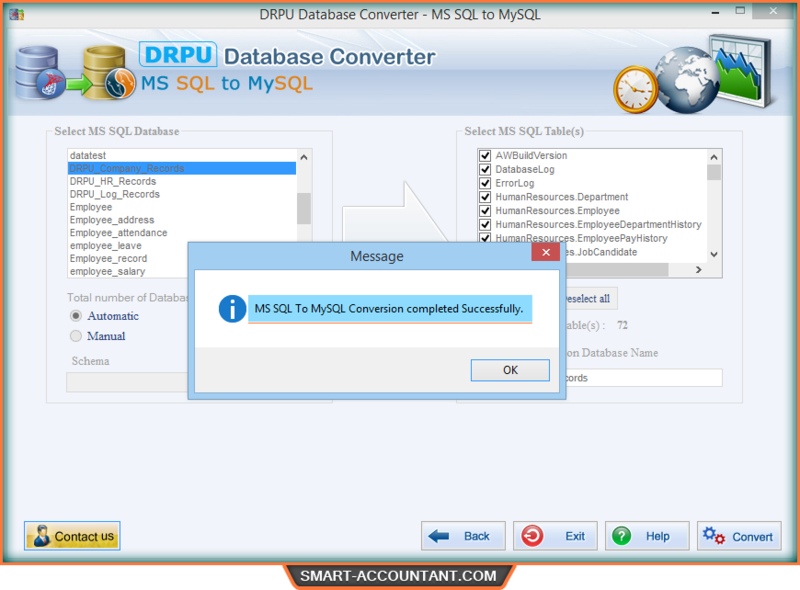 After completion of conversion process, a confirmation message will be displayed.